Eph 2: 8. For by grace you have been saved through faith, and this is not your own doing; it is the gift of God— not the result of works, so that no one may boast. How appropriate that while my fellow brothers in Christ are in UTAH telling Mormons about the wonderful grace of God, Bobby Gilpin gives me the assignment of writing about it! What is grace to a Jehovahs Witness? How can you get across to a Jehovah Witness that we are saved by grace through faith – but this doesn’t mean we excuse our sin? 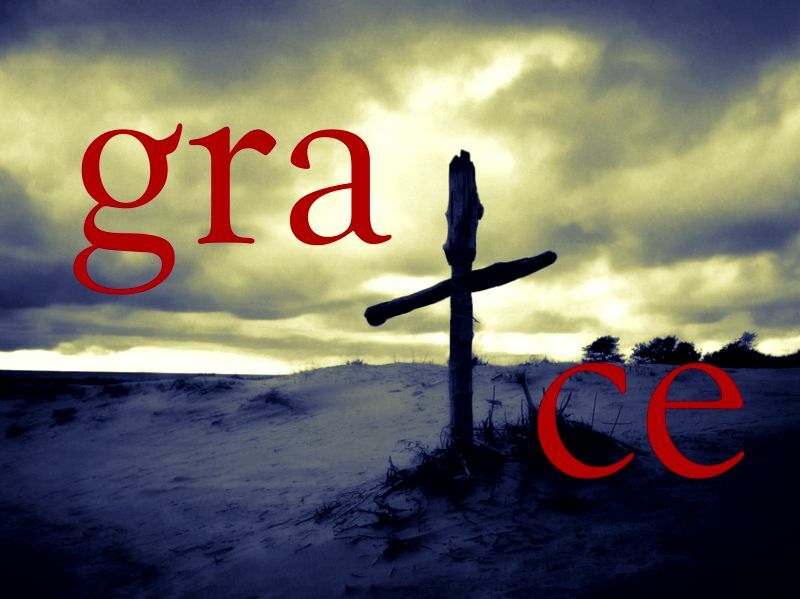 Does the bible say that grace is enough for your salvation? Does Jehovah give underserved kindness (grace) to Jehovah Witnesses? I can hand on heart say that not only did the word grace never come up in the kingdom hall, songs like amazing grace where also forbidden! Does this mean grace means nothing to Jehovahs Witnesses? You find NO references even in Watchtower literature that talks about grace, they do however talk about undeserved kindness. The most interesting reference I found is in the “reasoning book”. Hebrews 11:1- Now faith is the ASSURANCE of things hoped for, the conviction of things not seen. I make no apology for being confident in my salvation, why? Because he gives ASSURANCE of the things hoped for! Is that a God of love, justice, grace and mercy? That he makes NO guarantee of salvation and that is promises are only enough for the ones that are good enough for him? What does his word says? 2 Corinthians 1:21-22 – It is God who enables us, along with you, to stand firm for Christ. He has commissioned us, 22 and he has identified us as his own by placing the Holy Spirit in our hearts as the first installment that guarantees everything he has promised us. Romans 4:16 – Therefore, the promise comes by faith, so that it may be by grace and may be guaranteed to all Abraham’s offspring–not only to those who are of the law but also to those who have the faith of Abraham. He is the father of us all. So is salvation a “maybe” from God? Are his promises a maybe? No! It’s a GUARENTEE from God. Sadly then the God of the Jehovahs Witnesses is not one of the bible. The bible talks of a merciful God and that one that is gracious, Jehovahs Witnesses teach of God that makes you work for salvation with no guarantee of salvation, how sad! Although baptism is vitally important, it is not a guarantee of salvation. Jesus did not say: ‘Everyone baptized will be saved.’ Instead, he said: “He that has endured to the end is the one that will be saved.” (Matthew 24:13) Therefore, it is vital that you seek God’s Kingdom first by making it the paramount concern in your life. Well the first thing to point out is that they have taken Matthew 24:13 out of context, but this is another argument. However later in the quote we get the real reason they have put this in, and twisted the verse. 18 To endure in your service to Jehovah, you will want to set spiritual goals for yourself. One worthy goal is to further your knowledge of God through regular personal study of his Word. Plan for daily reading of the Bible. Attend Christian meetings regularly, for the association you find there will help to give you spiritual strength. For your part, why not make it your goal to comment at congregation meetings and thus praise Jehovah and seek to up build others? Another goal might be to improve the quality of your prayers. “Sorry you didn’t answer up enough meetings” I am not saving you. Ephesians 2:8.“By faith, you HAVE been saved through GRACE, and NOT OF YOUR OWN WORKS, lest any man should most”. Watchtower 1st Dec 1985, Page 6. I have heard many Jehovah’s Witnesses say, “grace is just an excuse for Christians to do what they want”. This is false. But rather grace is a pardon for sin, because guess what we are all sinners! Why do we need Gods grace? Simple, none of us can stand righteous before God. Surely though we need works? So does this mean we don’t bother with works as Christians because of God grace. NO! Works come as a result of salvation not because we want to be. If we are saved through keeping various laws, why did Jesus die? If we are saved through works, how much work do I need to do? If we are through works, does this mean the Pharisees are going to be resurrected? Are YOU good enough to get through Armageddon? How many sins would I commit before I lose the promise of the paradise? In addition I want to give you 5 verses that helped me realise what grace was all about. John 3:18 – There is no judgment against anyone who believes in him (Contrary to the 1985 Watchtower quoted in this post). John 5:24 – Truly, truly, I say to you, whoever hears my word and believes him who sent me has eternal life. He does not come into judgment, but has passed from death to life. Romans 5:1-2Therefore, since we have been justified by faith, we have peace with God through our Lord Jesus Christ. Through him we have also obtained access by faith into this grace in which we stand, and we rejoice in hope of the glory of God. The God of the Watchtower therefore does not offer “grace” to his people. He offers a “maybe, if you keep the rules such as refraining from blood transfusions, birthday’s, Christmas and anything else the organisation tells you to do. The true God, the God of the bible, our Lord offers free salvation for all who believe in the real Jesus. I do not boast in anything, no power no gifts no wisdom, but I will boast in Jesus Christ – his death and resurrection.